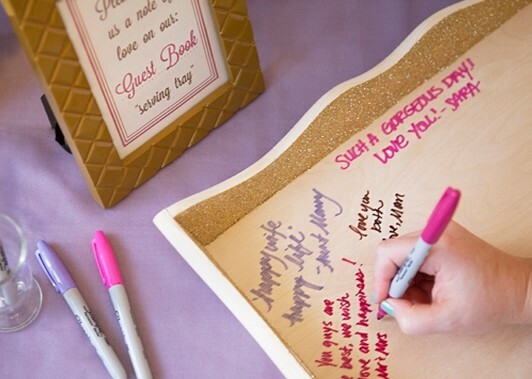 Embellish a serving tray with glitter and use it as a guestbook! Follow the tutorial on the source to create this idea. See this idea using a porcelain platter.